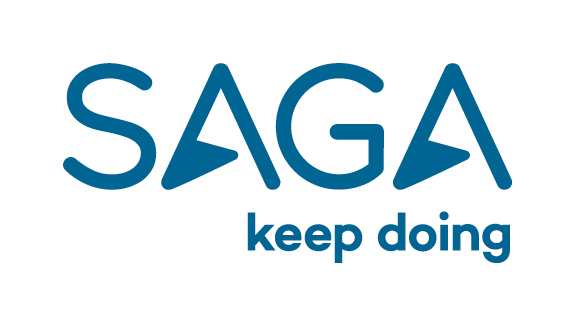 At Saga plc, our people are our business - we recognise that it’s our people that provide a continuously excellent experience to our customers and deliver service that is beyond their expectations. Nowhere is that truer than with our people in resort, who are the external face of Saga Holidays. This role is an important part of our Destination Services team who are responsible for developing and supporting our people in resort and consistently developing our service levels. As Senior Destination Services Manager, you’ll be responsible for the management of 400+ overseas staff and the services levels provided in resort. You will also be responsible for the commercial and strategic development of Destination Services and the continuous development and improvement of our customers’ holiday experience. You’ll work closely with your peers and the Destination Services team to attract, recruit and retain our people in resort and to deliver against our strategic objectives. You’ll champion our brand and our customers and bring the Saga Way to life in everything you do. Reporting to Director of Product and Purchasing, this is a key role within the business, responsible for delivering a truly differentiated service for our customers in all our Worldwide destinations. Management of 400+ overseas staff and the service levels provided in resort. Deliver the 5 year strategy. Ensure the delivery of high performing, efficient and compliant in resort operations and driving customer service arrangements that deliver excellence and enhance the Saga brand. Create a culture within which all fully understand the need for exceptional customer service and inspire full commitment to The Saga Way by making customer experience and operational excellence central to our core DNA. Contributing to the Saga Holidays strategy and owning the delivery of relevant programmes or work streams involving Destination Services. Promote and deliver excellent performance management practice, ensuring targets are achieved and services are consistently excellent, encouraging all employees to deliver to their best. Creating a culture and environment of improvement, within the constraints of legislation and meeting customer needs and expectations. Oversee the recruitment and training of all operational employees and monitoring of current employee performance and progress. Seek creative ways to attract the best quality employees / workers to the business. Engage new talent, hire and engage the best in the Travel industry through deep rooted focus on the customer and providing an exceptional service. Ensuring that the Destination Services budget is set realistically and reviewed regularly. Effective delivery of good risk management, embedding the culture of risk management throughout the Destination Services team. Developing and maintaining product and service quality standards through continuous review. Review and continuous development of our in resort commercial activity and ensuring all opportunities for in-resort operational efficiencies are being maximised. Developing and implementing business cases to maximise revenue in resort where appropriate. Developing positive working relationships with all business partners, including marketing, product and purchasing and field operations, to deliver the best quality holiday experience to our customers. Co-ordinating the flow of work through the Destination Services team and helping to manage priorities and expectations both within the team and in the wider business. To ensure compliance with local taxation and employment legislation requirements. An excellent understanding of the Tour Operating industry and particularly in resort operations. Experience and understanding of operational rigour, discipline and excellence in a multi-site environment, where margins are tight. A talented senior employee with relevant operations experience, who is able to lead a diverse and remote work-force. Exceptional communication skills – written and oral. Creative flair, with an ability to think outside the box and reach appropriate solutions to challenging problems. A communications ‘expert’ – first point of call for the business in understanding how best to deliver communications to our people in resort. Ability to set and follow clear targets and objectives. Demonstrable understanding of and commitment to the Saga Way. Self-motivated approach to work and highly organised. An excellent understanding and ability to manage people at all levels. Stakeholder management experience, with the ability to communicate complex ideas in a simple and effective manner. Experience of managing risk across a multi-faceted team. Willingness to Travel to our resort destinations on a regular basis (at least once per month). Educated to degree standard or equivalent. Other relevant HR qualifications (eg. CIPD) are desirable. A passion for exceptional customer service. Love of travel and appreciation of different cultures and beliefs. Exceptional communicator and strong interpersonal skills. Able to make things happen. Able to drive change and high growth quickly. Collaborative team player who is resourceful and able to mobilise a team. Innovative and solutions orientated, very ‘can do’. Strength of conviction and ability to influence and negotiate. Courage to challenge and do things differently. Customer focussed and passionate about building an exceptional customer service ethos. Good judgement and ability to create strong professional relationships at all levels. A natural leader with a desire to have a broad impact across the brand. Strong personal drive and alignment with The Saga Way. Able to rally and inspire a remote workforce. Determination and resilient in approach with the ability to ‘find a way’. Able to multi-task and manage multiple projects simultaneously.